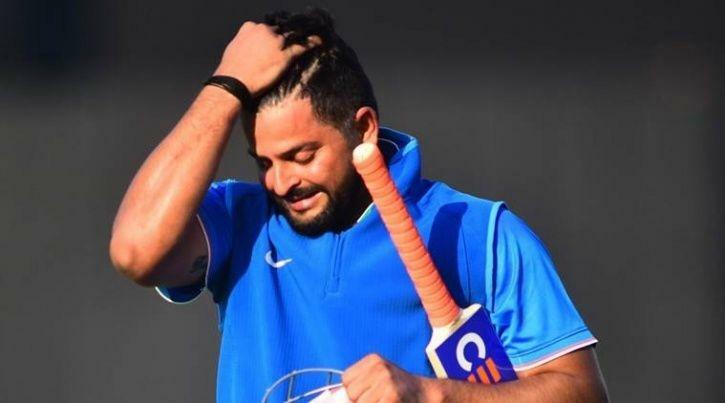 Suresh Raina Really Got Angry & Warned Youtube Channels For This Reason !! Check Out. Suresh Raina is an Indian international cricketer. An aggressive left-handed middle-order batsman and an occasional off-spin bowler, he is also regarded as one of the best fielders in world cricket. 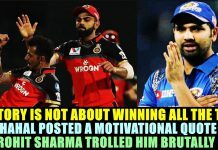 He plays for Uttar Pradesh in all forms of domestic cricket. 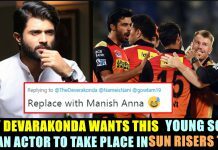 He was the captain of the Gujarat Lions in the Indian Premier League, and is the vice-captain of the Chennai Super Kings. Now the cricketer has hit back at the fake news reports and videos on social media related to his death after a road accident. 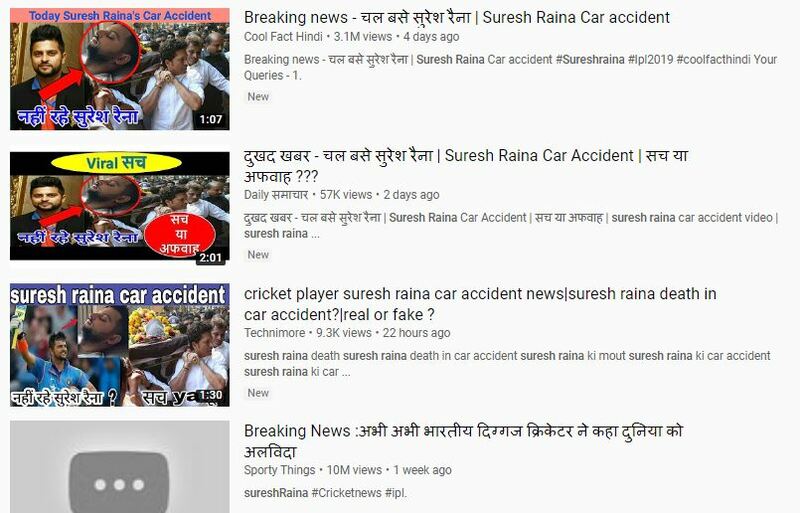 There have been several news items and videos on social media saying that Suresh Raina passed away recently in road accident. 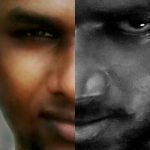 Furious Raina rubbished and slammed the fake news, which stated that he was dead after a road accident. Posts and videos of the fake news have been all over the social media, mentioning that the Uttar Pradesh star recently passed away following a road accident. Raina took to Twitter and assured his millions of followers that he was all right before slamming the reports. He revealed that the reports have left his family and friends disturbed before confirming that the Youtube channels showing the news have been reported. “Past few days there has been fake news of me being hurt in a car accident. The hoax has my family & friends deeply disturbed. Please ignore any such news; with god’s grace I’m doing absolutely fine. Those @YouTube channels have been reported & hope strict actions will be taken soon,” he tweeted. 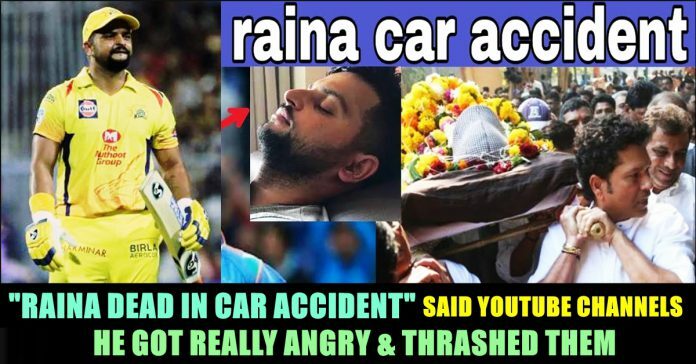 There have been many videos that surfaced on social media in last few days claiming that the Chennai Super Kings (CSK) and India cricketer was involved in an accident and passed away from his injuries. No one can replace Suresh Raina in Team India Dhoni and Raina were very big finisher and they are. This is not the first a celebrity been declared as dead when they are not in form in their respective field. It is high time for them to a full stop to all this. Comment your views on this !! 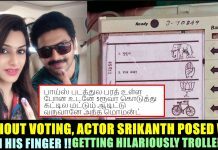 Previous articleVideo Of Man Saying That He Got Slashed By Seeman Party Members Goes Viral !! HORRIFIC !! Next articleChennai Man Received Food From Swiggy With Blood Stained Band Aid !! SHOCKING ! !